Are you searching for a company to help remove birds, animals or rodents and other pests from your home, attic, yard or business? We all know that those annoying noises from the attic can keep you up at night, but were you aware the even the cutest of little rodents can be dangerous and cause havoc. For example, rodents chew through the wiring in your home causing power outages, fires or the dead animal smell after they potentially electrocute themselves. If you have considered trying to get rid of these animals yourself you might want to think it over. For instance some of them carry diseases, including rabies, hantavirus and even leprosy. 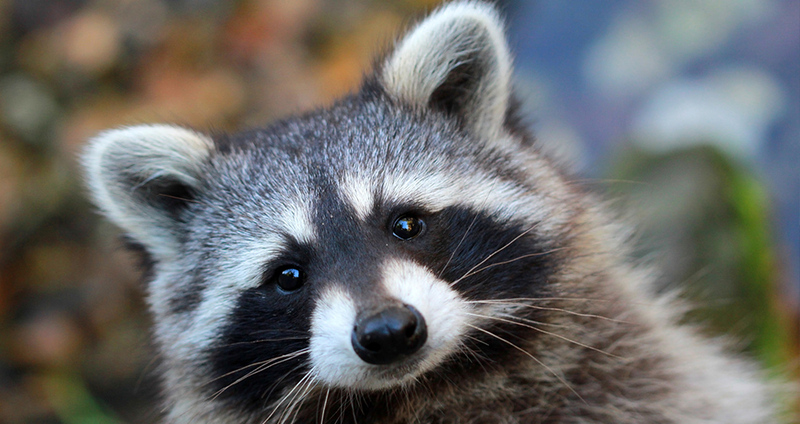 Others may look friendly, but even raccoons, possums and armadillos have teeth and claws and can seriously hurt you if they feel threatened, or feel you are provoking them and if you come near their babies. Are you thinking of baits and poisons? Have you considered what your home might smell like if these animals die in your attic or walls? Did you know that it is an urban legend that animals will leave the house in search for water and die outside after being poisoned? This is not, will not and has not ever been true. Baits can have their place in an overall suppression strategy but that place is never ever inside your home. Maybe you are considering getting traps. The problem with this is that some rodents are very curious and trusting, for example, mice will walk right up and take the bait (snap), but others, for example, rats are very cautious and if you intimidate them with new items and odors (Even a nice birthday cake) you can make them so paranoid that it can end up taking weeks before they are willing to taste anything new or fall for the traps. In other words, if you try to do this yourself, you could end up with more and bigger problems than you started with. If you are considering taking this on yourself, please continue reading. If you already want an animal expert to deal with it than please do not think you are doing yourself or them any favors, getting started without them, this does and will make the problem harder to deal with. What is the number one reason you do not want this problem to be harder to deal with than it has to be, answer, it can take much longer to resolve. 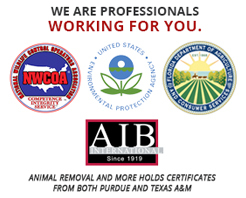 So now that you are out searching for companies to remove some type of animal (Live or dead) from your home you may be assuming all animal removal companies are the same. In reality there is a huge difference between animal removal companies. Some companies will do live trapping for removal of friendly little critters that just ended up in the wrong place. Other companies may not share your or our good Samaritan nature. We do live trapping whenever possible and return the animals back to their natural environment far from your home. Some companies will unwisely put baits in your attic which can lead to dead animals or birds in the walls (A much bigger problem than you started with). We never do that. We use traps designed to help capture and remove the animals (Live if possible). Most companies will not even try and help remove some problems. Some companies will attempt the removal of dead animals from walls but will literally take a hammer and knock big holes in your walls only to find that they missed the spot and then they have to make several more giant holes in your walls. And many of these companies leave you to fix and clean up the mess. On the other hand we use a telescoping camera. We start by identifying the target area where a dead animal may be hidden within the wall. Then we use a very small camera on a flexible cable. The result is that we can look and find the exact location of the dead animal before the actual extraction. We also properly treat the area within your wall to treat odors, disease carrying substances, etc. And then we plug the hole so that it would be barely visible. If you have the correct color paint on hand we would be happy to even touch the spot up for you. This is just the tip of the iceberg. We keep extra staff available “just in case” so our clients are never left waiting for extended periods of time. Our staff go through a much more thorough training program than at other companies (It does make a difference). We handle things as cleanly, professionally and discreetly as possible. We work to make the entire process something that goes smoothly and hassle free. We do in fact care about your happiness, we will treat you like our best friends and give you the same advice we would members of our own families. Did you know that animals and pests can potentially cause structural damage, flooding, fires on top of the obvious health and safety hazards? Did you also know, the county is not going to help when you have a animal or pest problem in your home? Who will take care of your animal and pests removal needs? These kinds of situations with raccoons, opossums, rats and other pests may not seem likely, but in Southwest Florida, ants to armadillos and other wildlife is everywhere! If you have an animal or pest somewhere in your home, who do you call? If you have a snake slithering across your floor, a rat in the attic, or a bird loose in the house, what do you do? You have come to the right place to find the answers to these questions and many more. You can find more specific information on your particular situation within the pages of this site. Rest assured that you have made the right first step by finding us. Please continue to gather the knowledge you will need to make the right animal removal decision and what you should do next.Are you aware, most people are referred to us by word of mouth from their neighbors, friends, family and loved ones! We pride ourselves on our customer service, professionalism, and years of experience. Our staff is highly trained and we will do whatever it takes to keep you and your family safe and help you with any animal removal situations. From trapping an armadillo in your back yard, to crawling around your duct work in your attic to catch a rat, we are the guys you call to do the dirty work. Don’t let our crisp, ironed uniforms fool you! We will always go where you need us to go to get any animal out of your home. From the moment you call, we are already devising a plan on how to help you! From beginning to end we will be honest and communicate to you the problem, the plan, and the process in which we do things. We also have the ability to pest-proof your structure! From ants to armadillos to your initial phone call to removal of the pest to cleaning up to sanitizing to deodorizing to re-insulating and sealing the entry points, we are the very best one-stop-shop for any animal and pest removal.